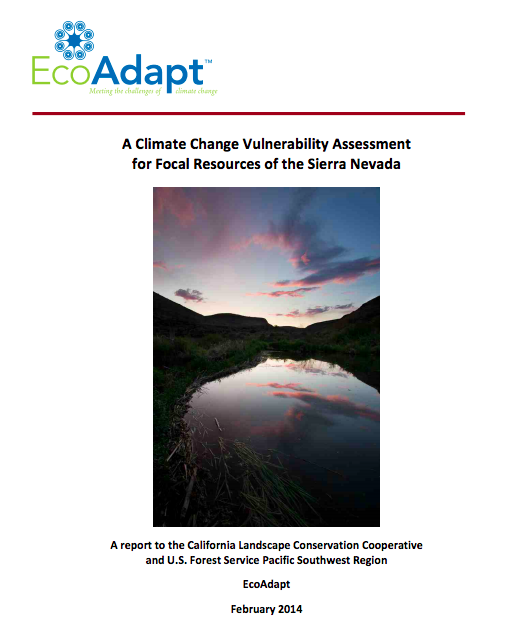 This vulnerability assessment is an initial science-based effort to identify how and why focal resources (ecosystems, species populations, and ecosystem services) across the Sierra Nevada region are likely to be affected by future climate conditions. The overarching goal is to help resource managers and stakeholders plan their management of these focal resources in light of a changing climate. Specifically, this information can facilitate priority setting for management action and responses, helping to sustain optimal conditions for and productivity of focal resources. Twenty-seven focal resources including eight ecosystems, populations of fifteen species, and four ecosystem services were identified as important by the U.S. Forest Service (USFS) as part of their forest plan revision process or by Sierra Nevada stakeholders and are considered in this assessment. 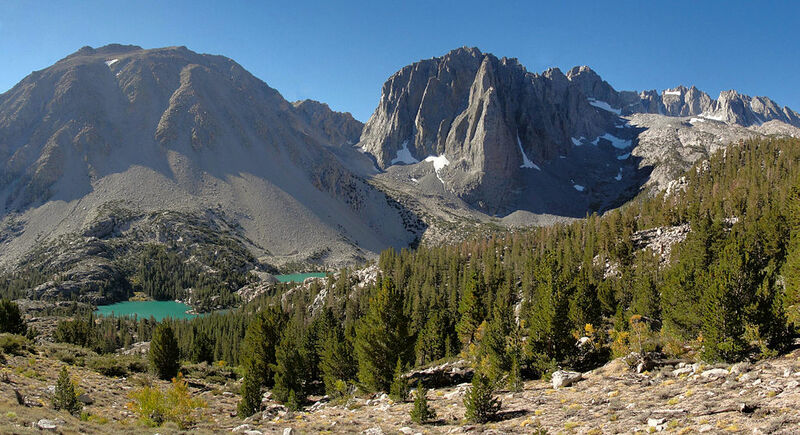 This assessment centers on the Sierra Nevada region of California, from foothills to crests, including ten national forests and two national parks.